While the service-class has benefited from the employment opportunities in Gurgaon, business class is reaping profits by taking commercial property for rent. The city has a lot of significance in terms of business because of factors like support from the government, literate and educated population, modern culture, controlled pollution and metro rail connectivity. To put it simply, any real estate company in Gurgaon at present, has several profitable options with commercial properties. With the prices of these properties varying from one region to another, buyers need to make a clever choice. The industrial development in Gurgaon is the reason for so many entrepreneurs looking forward to setting up their business in the city. A popular location is definitely a big plus for any business. Commercial office spaces in Gurgaon are being utilized for the establishment of companies. A lot of reputed firms and multinational companies have already opened their branches in the city. Clubbing commercial spaces together with residential areas has become a common trend among private builders in Gurgaon. The residential projects usually have these spaces on the ground floor or on the first floor. With these spaces, routine requirements like grocery shopping, ration, money withdrawal from ATM, beauty parlor visits, and purchase of medicines are taken care of. It will be even more favorable for the builders if the residents own these spaces. However, if they are not able to convince the residents, they can offer these commercial spaces to the outsiders. Fully air-conditioned malls have become a characteristic of Gurgaon. These are basically buildings with multiple floors offering shopping spaces. To attract more visitors, these malls also have anchor shops that are managed by popular brands. Offering a clean environment and a relaxed shopping experience to the visitors, these shopping malls are a smart way for the builders to make use of Gurgaon commercial properties. Regional plans usually involve linking a marketplace to the locality. 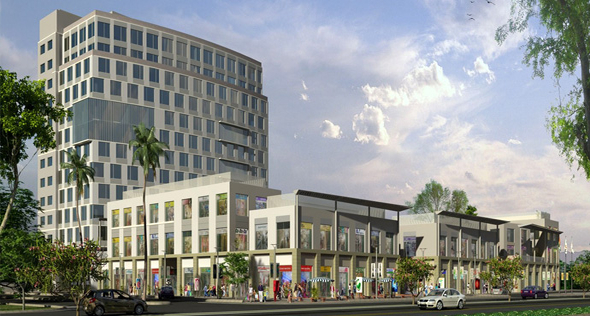 Some commercial properties in Gurgaon have offices and residential areas nearby. Such commercial properties can be used for marketplaces. Usually built by private builders or the government, these marketplaces include office space and retail shops. This entry was posted in Commercial Property Investment and tagged commercial office spaces in Gurgaon, commercial property for rent, Gurgaon commercial properties, real estate company in Gurgaon on March 21, 2015 by Admin.